From a giant hungry-hungry hippo to the dude who almost got the whole plane to himself, the travel world saw plenty of madness in January. And true to form, the debauchery continued this month with a Roman red light district, naked Russians at airport security, and, oh yea, legal weed on your favorite Caribbean island. Here are 11 of the wackiest things that went down in travel in February. 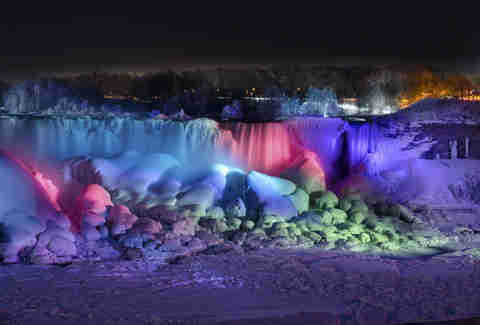 It's been SO COLD this winter that even Niagara Falls (one of the deadliest landmarks in America!) froze over, putting on such a spectacular ice show that tourists have braved -13 degree temps to witness it. Of course, the entire thing didn't come to a complete standstill, as evidenced by this incredible drone video which shows water flowing beneath the ice. Extreme unicyclist Flaviu Cernescu took to the ledge of the tallest dam (544ft) in Romania to perform a death-defying stunt. The guy didn't even wear a helmet! Last year, a British Airways typo sent a couple to Grenada in the Caribbean, instead of Granada, in Spain. 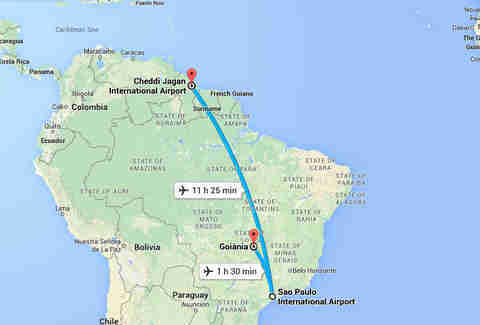 And now, another airline has messed up, flying an African student to the Brazilian city of Goiania, instead of the South American country Guyana -- a 1,864mi difference! AirAsia just rolled out a very Eurorail-like flight pass that allows travelers to hop between 10 countries including Thailand, Singapore, the Philippines, and Laos, over the space of 30 days, ideal for those looking to cross Southeast Asia off their bucket list. Passengers on a Rionegro-bound VivaColombia flight saw what no flier ever wants to see: the engine leaving a trail of flames. Upon hearing a loud bang shortly after take-off, the plane's right engine caught fire, and one flier filmed the commotion from his seat. Rome -- as in, the city that houses THE POPE -- is making prostitution legal in its EUR business district. Yep, that's about the gist of it. 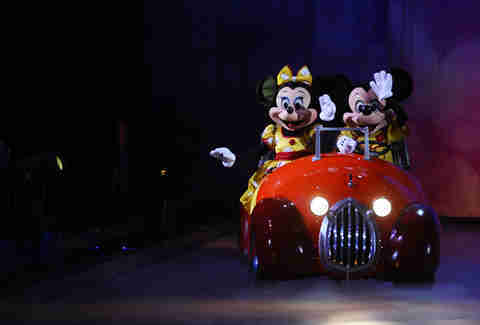 Michael and Diane Greening from San Diego are so crazy in love with Disney that this Valentine's Day, they hit three parks in three separate cities -- Tokyo Disneyland, Disneyland Anaheim, and Walt Disney World Resort, Florida -- all in the span of one day and a remarkable 7,900mi! 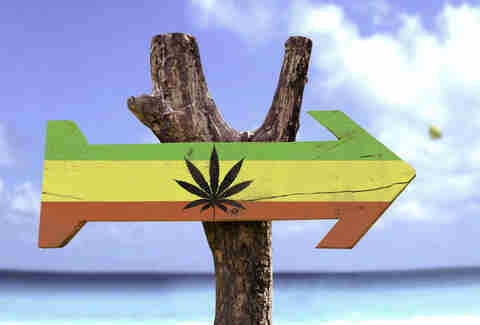 What, you thought weed was already legal in Jamaica? While that might be the most shocking news, it's now totally OK to possess up to two ounces of ganja, and grow six or more plants on the same plot of land. One way to see the Alps is from the comfort a chairlift. Another is to fling yourself off a cliff wearing a wingsuit and soar above the peaks at crazy high speeds. Well, that's exactly what adrenaline junkie Brandon Mikesell did this month. At one point he almost crashes into the side of a mountain and acts like it's NBD. 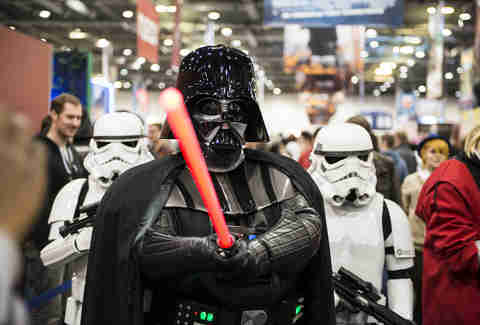 Disney Cruise Line's announced that it'll be offering Star Wars fans the ultimate on-board experience next year, with "Star Wars Day at Sea," a series of eight one-day events that'll bring your favorite characters, themed events, and movie screenings on cruises to the Caribbean. Most people are made to remove their belts and shoes at the airport, but one guy recently took it all off at airport security in St. Petersburg. The airport worker, who was returning to his workplace to snag the keys he forgot, was given a hard time by security officials who asked him to remove his belt; he responded by stripping down naked.